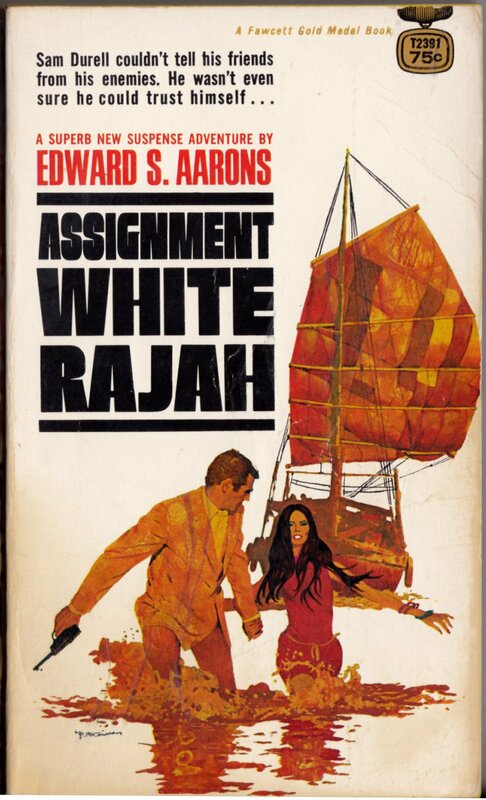 ABOVE: Edward S. Aarons, Assignment White Rajah (New York: Fawcett, 1970), with cover art by Robert McGinnis. 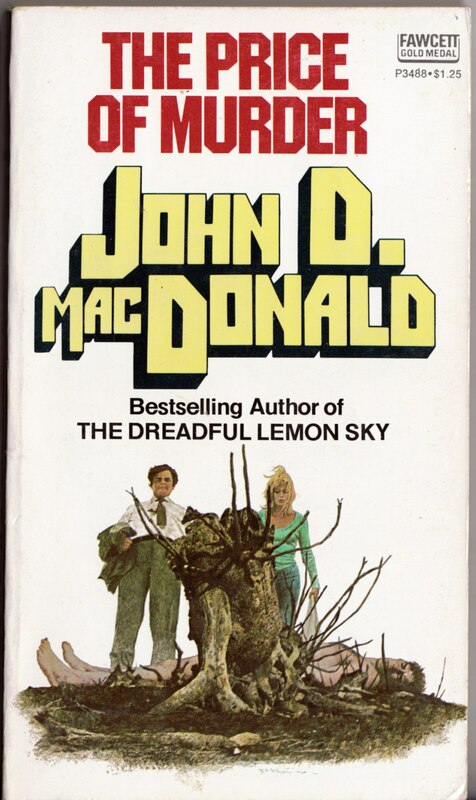 ABOVE: John D. MacDonald, The Damned (New York: Fawcett, n.d.), with cover art by Robert McGinnis. 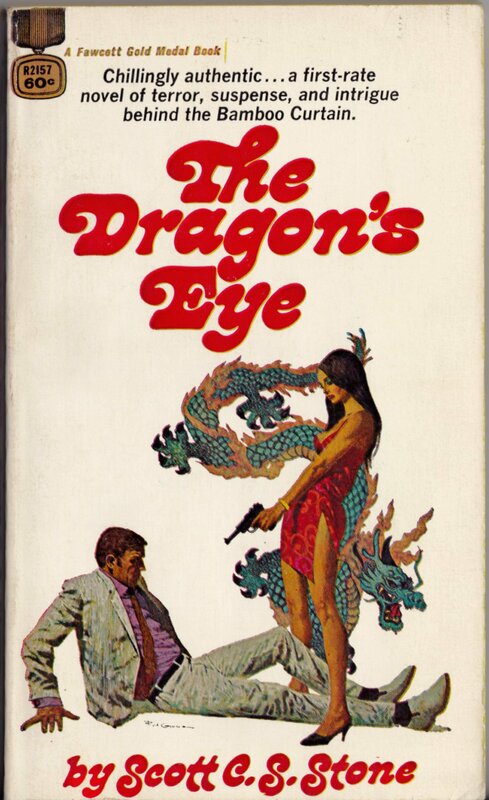 ABOVE: Scott C. S. Stone, The Dragon’s Eye (New York: Fawcett, 1969), with cover art by Robert McGinnis. 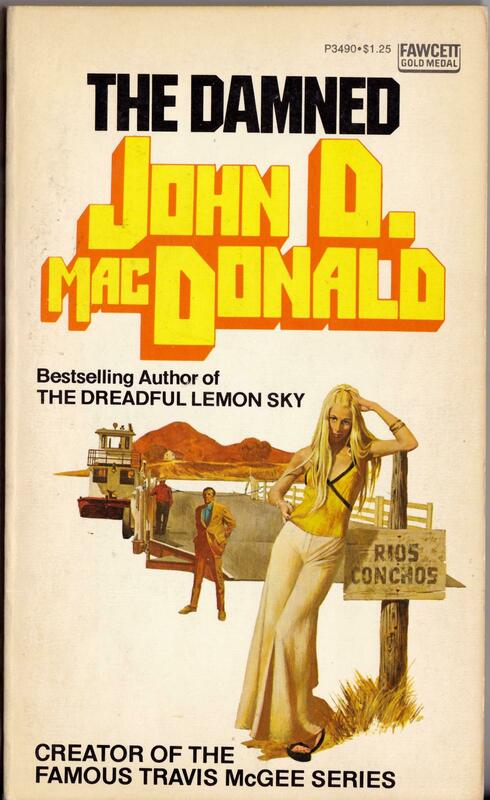 ABOVE: John D. MacDonald, The Price of Murder (New York: Fawcett, n.d.), with cover art by Robert McGinnis. 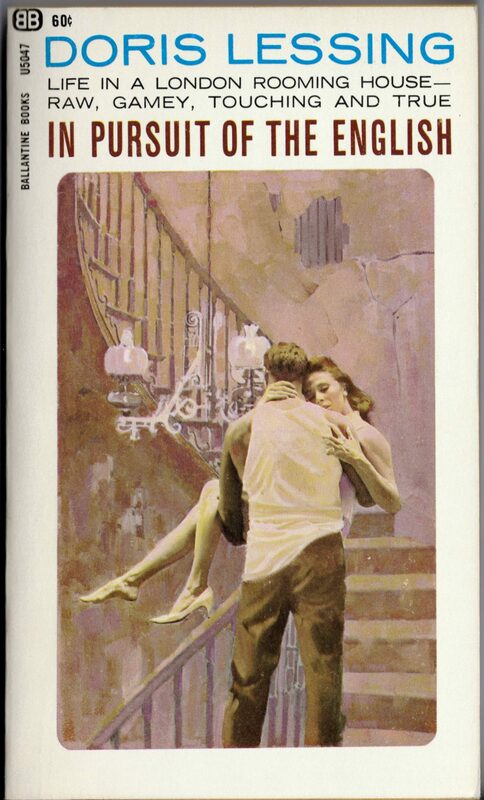 I usually prefer to display paperback covers in order of publication, but these Fawcett paperbacks mostly don’t include the year(s) of publication, only the year the book was copyright. Keywords: Area of Suspicion, Assignment: White Rajah, The Damned, The Dragon’s Eye, The Price of Murder. 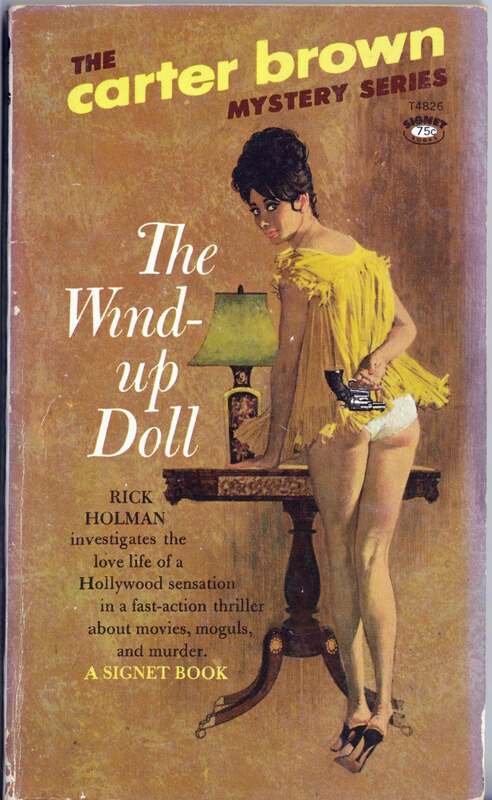 ABOVE: Carter Brown, The Wind-up Doll (Signet, 1964), with cover art art by Robert McGinnis. 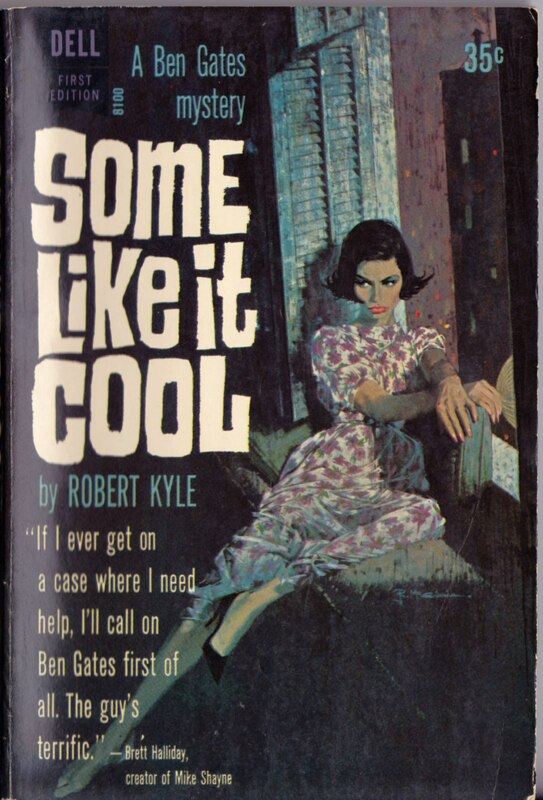 ABOVE: Carter Brown, Had I But Groaned (Signet, 1966), with cover art by Robert McGinnis. 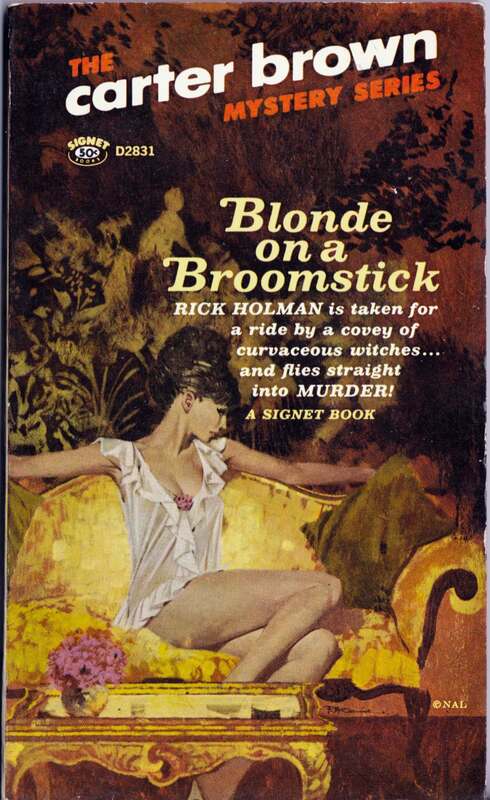 ABOVE: Carter Brown, Blonde on a Broomstick (Signet, 1968), with cover art by Robert McGinnis. 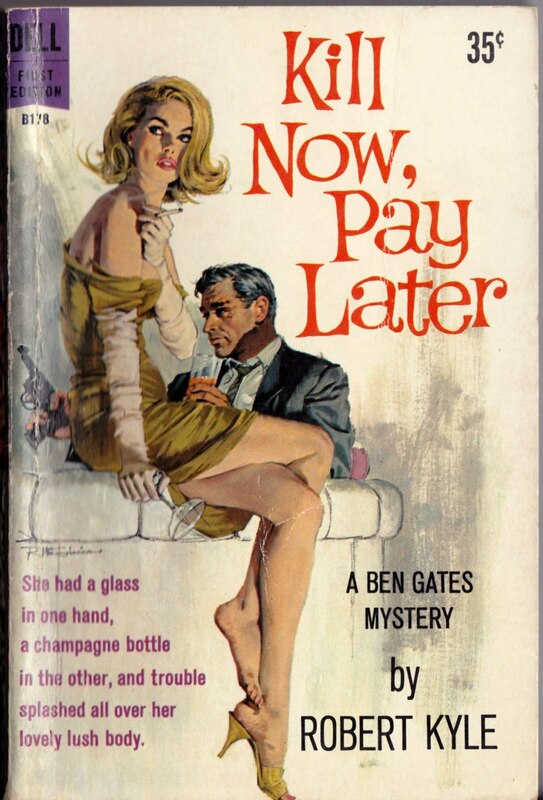 ABOVE: Carter Brown, Blonde on the Rocks (Signet, 1971), with cover art by Robert McGinnis. 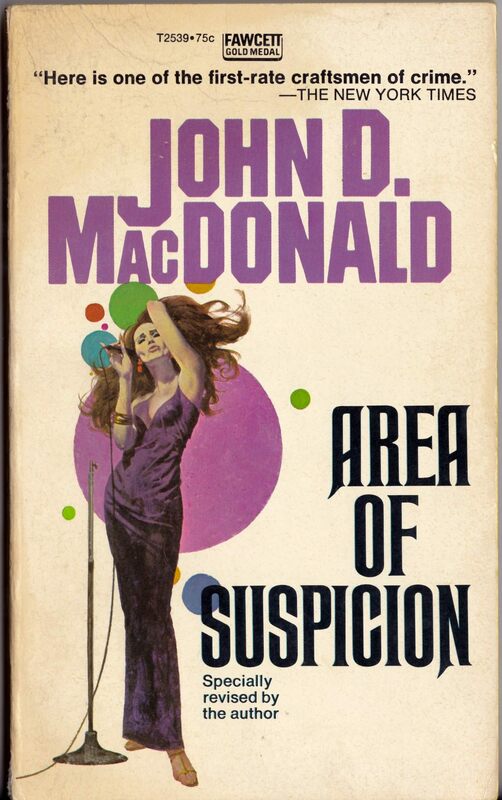 First interesting fact about McGinnis: his preferred medium for his cover paintings wasn’t oil, or watercolour, or gouache; rather, it was, and still is, egg tempera. Second interesting fact: McGinnis seldom drew from life but instead took photographs of models (etc. ), projected them onto the painting surface, and traced the resulting images, clarifying the forms where necessary, and elongating and adjusting the limbs and features according to his distinctive sense of proportion and beauty. McGinnis very briefly demonstrates his working methods in a DVD entitled Robert McGinnis: Painting the Last Rose of Summer, which is not a painting video at all but rather a documentary overview of McGinnis’s career as a commercial artist and painter. Keywords: The Wind-up Doll, Had I But Groaned, Blonde on a Broomstick, Blonde on the Rocks.